On 22nd August 1851 the American schooner America won the Royal Yacht Squadron’s £100 Cup, a prestigious race round the Isle of Wight, witnessed by Queen Victoria. 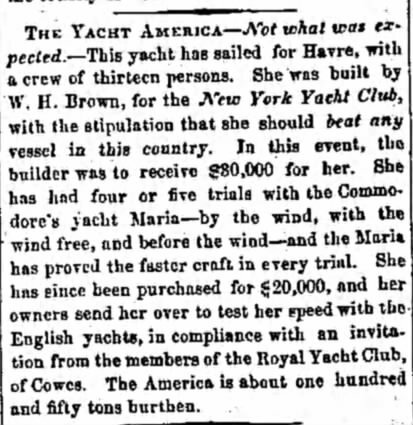 The story goes that she asked which yacht was in second place, to which the reply was “Your Majesty, there is no second”. The trophy was donated in 1857 to the New York Yacht Club (NYYC) under the terms of the Deed of Gift, which made the cup available for perpetual international competition. It was originally known as the "R.Y.S. £100 Cup", standing for a cup of a hundred GB Pounds or "sovereigns" in value. 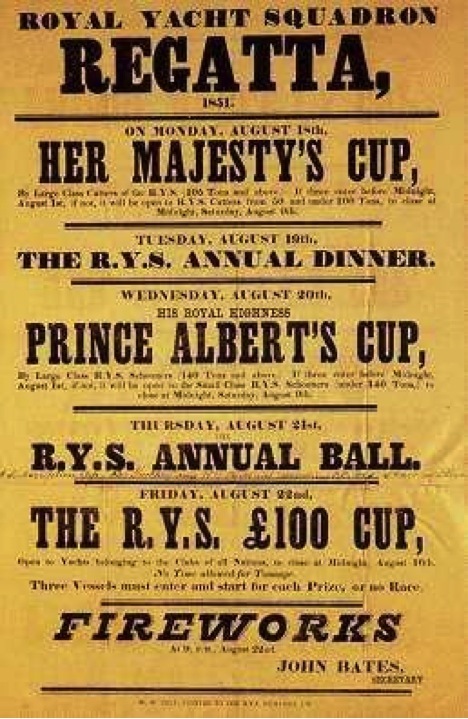 The Cup was subsequently mistakenly engraved as the "100 Guinea Cup" by the America syndicate, but was also referred to as the "Queen's Cup". 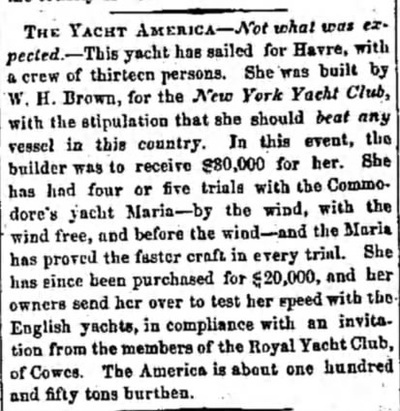 Today, the trophy is officially known as the "America's Cup" after the 1851 winning yacht, and is affectionately called the "Auld Mug" by the sailing community. 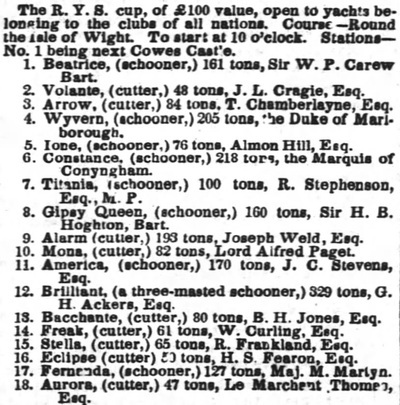 It is inscribed with names of the yachts that competed for it, and has been modified twice by adding matching bases to accommodate more names. 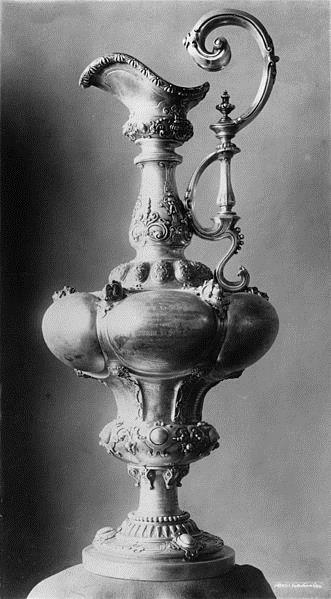 A comprehensive history of the America’s Cup is held in Wikipedia and on the America’s Cup website.